Health Prospect is the first scientific Public Health Journal published by Nepal Public Health Students' Society, Institute of Medicine, Maharajgunj Medical Campus, Kathmandu, Nepal. This journal has aimed to provide better space for sharing experiences and views, and for disseminating the results of scientific researches related to public health discipline. Amidst of increasing number of biomedical journals in Nepal and abroad, Health Prospect could be of interest to public health professionals, students, academies and community at large. The journal accepts original research articles, review articles, view points, short communications, book reviews and letter to editors. The journal is the member of Committee on Publication Ethics. It strongly adheres to Uniform Requirements for Manuscripts submitted to Biomedical Journals. Health Prospect is determined to promote integrity in research publication. 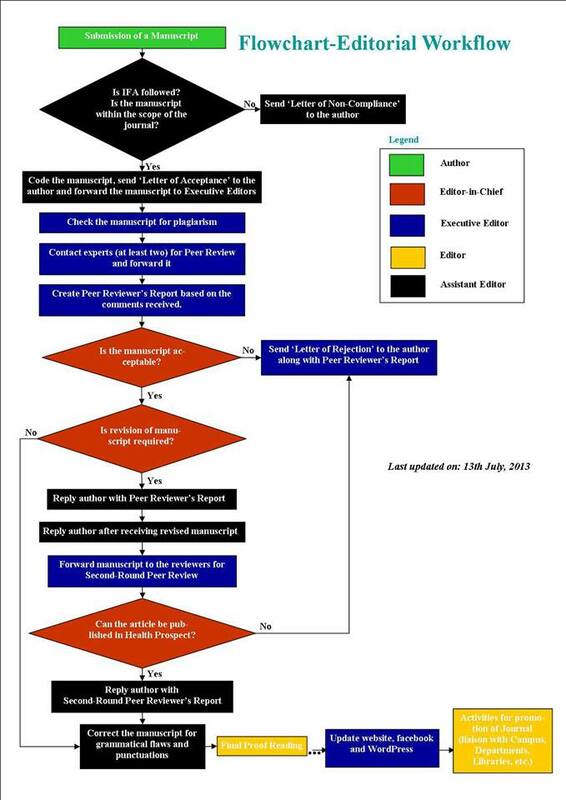 We adhere to the guidelines, given by COMMITTEE ON PUBLICATION ETHICS (COPE) for any publication disputes, authorship disputes, etc. We also support the international standards for editors and authors that were developed at the 2nd World Conference on Research Integrity in Singapore in 2010. Plagiarism in scientific writing is not admissible. Whether it is deliberately done or unintentionally, plagiarism nevertheless fundamentally undermines academic publishing. Plagiarism in all its forms constitutes unethical publishing behavior and is unacceptable. To avoid this and maintain the highest possible standards, Health Prospect checks all the submitted manuscripts for plagiarism before forwarding for Peer Review. The authors will have to ensure the Editorial Committee that their manuscript contains entirely original work, and if the authors have used the work and/or words of others, it has been appropriately cited or quoted.